to talk through your preferences about being posed and how you feel in front of the camera. If you don’t want to do one, however, that’s totally fine! There’s no pressure, requirement or unwritten rule that you must have one. But if you think you could benefit from one, it’s always a great exercise. What if I’m camera shy and don’t like having my photograph taken in public? Sometimes, I don’t like how I look in photos. If you’re shy about having your photograph taken in a public location, we can select a spot that is fairly quiet to help. I firmly believe that everyone can have a stunning photo taken of them, sometimes it just takes a little practice to get the right result. The engagement session might be especially useful to you if you’re a bit camera shy, as you’ll have a bit more practice before your wedding day. Where should we do our engagement session? 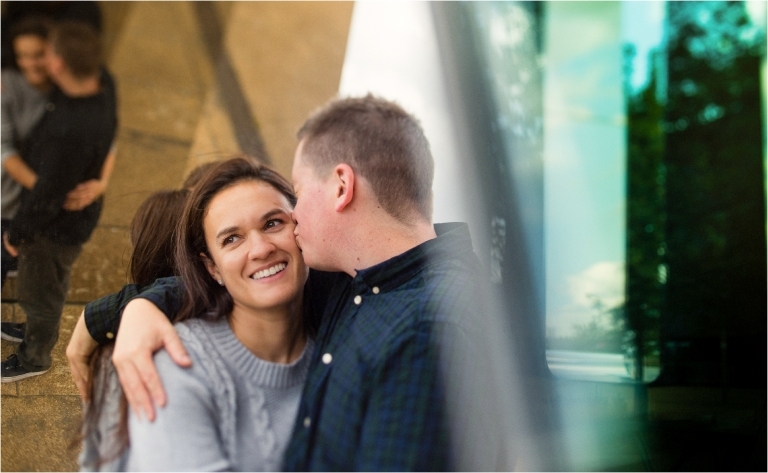 Most all of my engagement sessions take place within the Greater London area. Is there a place that has special meaning to you as a couple or a part of London that you adore? If you’re stuck, I’m happy to make suggestions on places I think would be a great spot to shoot. It’s also a good idea to have a ‘wet weather plan’ in place. I’m happy to travel outside of London for engagement sessions, however these sessions do incur an extra travel charge. Katie and Chris wanted to do their engagement session in Paris. Paris meant a lot to them as it’s where Chris asked Katie to marry him! From April to October it’s the peak wedding season, so Friday through to Sunday is extremely limited due to the amount of weddings I shoot. If you’d like to have your engagement session during those months, it’s best to plan for a weekday. Don’t forget the sun sets quite late in June, so it’s very easy to schedule a engagement session with daylight even after you finish work. Pop me an email to let me know what time of year you’d like to have your session, then I’ll let you know my available dates. We can then pick a date that’s convenient for everyone. I’ve never done this before? What are engagement sessions like? Surprising, these sessions can be quite relaxing. We’ll talk, take a walk around, and have some fun taking pictures. Engagement sessions typically last about 2 hours, but they can last a bit longer if you have lots of locations you’d like to visit. From our starting location, we’ll walk around a bit looking for beautiful light and interesting backdrops. It’s a bit of a discovery process, and it’s fun to see what the location has in store for us. What Should I wear? Should I plan for outfit changes? You’ll want to wear clothes that make you feel like you. If you plan on wearing high heels, it’s best to bring a comfortable pair of shoes to walk in. Pops of colour are always great in photos. Can I bring my pet? Could we bring props? Yes please! I adore pets in engagement sessions! If you’re interested in bringing props or having a bit more of a “photoshoot” feel, I highly recommend the stylist and prop hire by Carrie Southall. Amy and Karl’s dogs, Belle and Marlow, are extremely important to them. They knew they couldn’t have their dogs at their wedding, so they wanted the dogs to play an important part of their engagement session. What happens after our engagement session? After your engagement session, I’ll post a sneak peek on Facebook. A few days later, there will be a blog post up with a highlight of images. The full gallery will be emailed to you about a week after your engagement session. You can then download the high resolution images out of the gallery or order prints if you’d like. What can we do with the images after? You’re welcome to post the photos online. Some couples opt to have a wedding website to help guests with planning their trip, and your engagement photos will look great published there. You’re also welcome to share your photos on Facebook or other social media sites. Do I need to book a wedding with you in order to do one? Do we need to be engaged to have a portrait session like this?